Communicating the right things at the right times is vital in all walks of life. Within a complex business with multiple moving parts, the value of this communication is high and the effects of poor communication are potentially catastrophic. Without communication and the team effort it permits, the successful completion of any important project can be jeopardized. 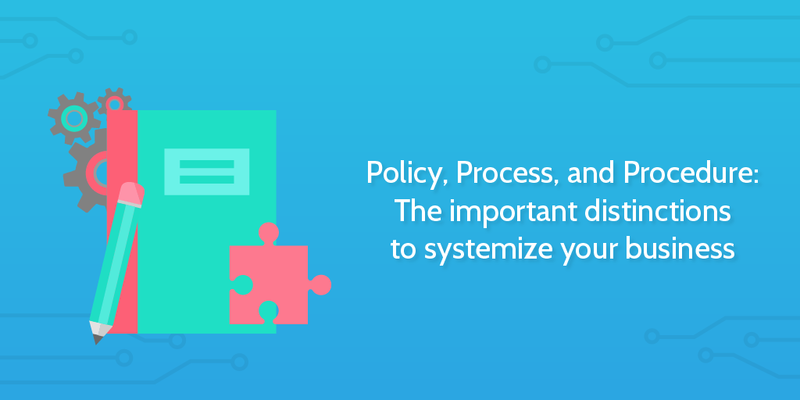 The three concepts we’re going to tackle specifically in this article are processes, policies and procedures. What are the differences between them? How do we effectively utilize each? How do we, at Process Street, utilize these concepts within our organizational structure? Let’s look at each individually to understand how they operate on a day to day level. Policy, as a term, has been key to organization for literally thousands of years. Originally appearing in Old English, its roots lie first in Old French policie, meaning civil administration, and even further back to the ancient Greek word for city: polis. Policy rarely concerns itself with the details of actions, more with the broad brushstrokes and overall intention. You’ll often hear a politician questioned on a proposed policy with something about how much it is expected to cost or how much growth it might stimulate – or something along those lines. But rarely will you hear an interviewer ask whether Debra in the Slough office will have to do overtime to accommodate the extra paperwork. Of course, interviewers don’t ask these kinds of questions because there’s no way of knowing at the point of the proposal. The detail is to be worked out later. The same is true for businesses – particularly large businesses. When a company sets out its new strategic direction, it often isn’t intending to formulate exactly what will change in the day to day life of the shop floor worker, but to put in place a number of broad policy changes. Workplace safety policies – The workplace can be dangerous. Maybe you have multiple building sites under your command or maybe you just have a small office with 10 people, either way, there is the risk of injury. Having effective workplace safety policies in place provides protection for both the company and the employees. These policies can not just mitigate the damage of lawsuits but provide guidance to employees which act as preventative measures; stopping incidents occurring in the first place. Disciplinary policies – Terminating employees is not easy nor fun. Again, there are two factors in play. Firstly, you want to protect the company against unfair dismissal or other damage which could be inflicted on the business, and demonstrating you have adhered to set disciplinary policies helps protect against that. Secondly, with effective disciplinary policies, you can provide cautions and guidance which could tackle problems before they become too great. This helps you keep hold of your staff and not let a culture of poor behavior set in. Device use policies – Given the open nature of the internet, there are a lot of risks we often fail to consider in regards to employee actions. A lot of illegal online behavior has been normalized to the point where people don’t think to protect against it. Examples might include illegal streaming of sports or torrenting films. If you have people operating on your internal networks or using your company computers, you’re harboring that risk. Device use policies will discourage employees from these activities while also legally demonstrating you took reasonable action to prevent these abuses. Work hours and turnaround time – If you’re quite client intensive, you may have customers you work with who wish to contact you at all hours. This is particularly true for those who do significant amounts of their business internationally. A strong work hours policy helps define availability making it clearer for your client and letting your employees know when they are obligated to deal with a client and when they aren’t. This kind of policy helps foster a better company culture as well as better client relations. One quick tip is to specify your turnaround time within this policy – if a client wants a faster turnaround time, they can pay that little bit more. Late payment policies – This is quite an obvious solution to a common problem. Clients don’t always pay on time. This can cause cash flow problems for your business. A simple late payment policy can incentivize clients to pay promptly, and if they fail to do so you can attach charges to be added to the bill to make up for the damage this is causing your company. A typical route to take is to provide a grace period of 30 days after the invoice is sent where no charges are added. Each month of delay after then will result in a fixed percentage charge until the point where legal action needs to be taken. Return refund policies – How you construct a return or refund policy will depend on your industry and a range of other factors. However, there are a couple of considerations which are worth making. Are you going to implement a policy to act as a deterrent or have a strict policy which you will support at all times? Or maybe you’ll do the opposite and have a super lax policy which you use as part of your marketing to entice new business? These are all pretty key policies for a company to have in place and they can all act as guides for the processes which exist under them. Some of these policies are in relation to specific events while others have company-wide impact. An example of a further policy which could have broad reach is a privacy or security policy. For example, you may have an element of this policy which mandates the use of password generators and password managers to keep the company’s digital presence secure. Unlike policies, processes describe patterns of work and tend to detail the necessary steps to complete a task; sometimes big, sometimes small. It can get a little confusing when talking about processes because different people will mean different things. High-level processes which document an overview of business or department practices might often be used, as a phrase, interchangeably with the term workflows. 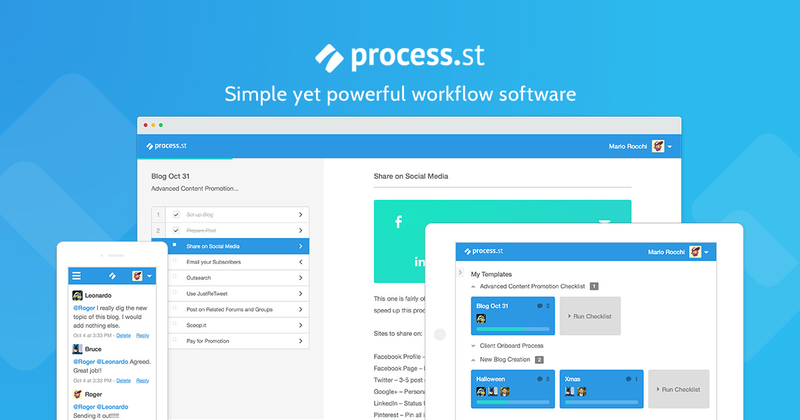 This approach separates processes from workflows in that workflows are a combination of processes involving multiple different people. What you might think of a high-level process. 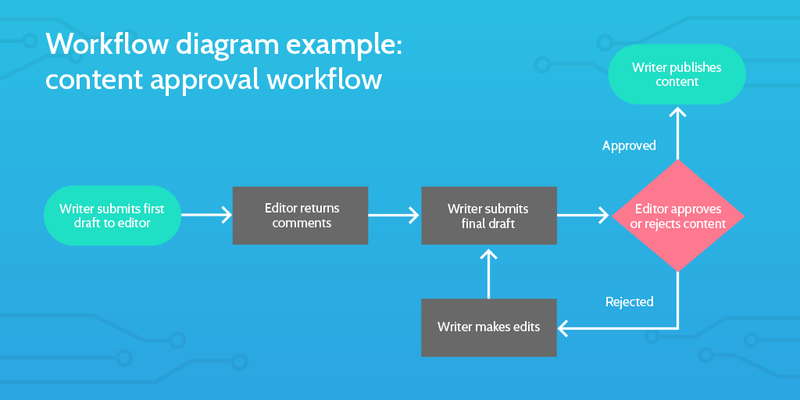 You can see an example of our content approval flow in the diagram below. This includes at least two people and shows the different overview tasks without delving into detail for any of them. In truth, the term process is a very loose and flexible phrase which can be used to describe sweeping overviews or detailed steps. The important distinction of process is that this conceptual approach views activities through a narrative prism, unlike policy. Moreover, processes are important. Vitally important to your business. According to a 2015 report by Planview, conducted by Loudhouse, poor processes were seen to be the primary cause of company inefficiencies (44%) across a number of western economies including the US, UK, Germany, the Netherlands, and throughout Scandinavia. Use processes to clarify strategic direction – Processes can help you make sure daily activities are in line with the company’s overall strategic goals. This not only improves business practices but creates a company culture where all employees can feel invested in the company’s aims. You can take the opportunity to critically analyze the processes in use with your employees to gain their insight when assessing whether daily work is adequately adding value to the company’s intentions. Use processes to align company resources efficiently – We’ve already seen that poor processes are resulting in dire inefficiencies across western businesses. Through effective process optimization and monitoring, you can assess how resources are being used and whether this usage is appropriate or not. Use processes to improve daily activities and productivity – The use of processes on a daily level helps to keep your employees adhering to best practices in all their activities, resulting in higher output and consistent quality. This approach can also benefit an employee’s sense of direction and understanding of their own role; meaning greater employee engagement, accountability, and reduced churn. Putting effective processes in place in your business allows for work to be mapped out, followed, and optimized. This is where it gets a little tricky. Procedures are not really any different from detailed processes in some senses. They tend to go through step by step what is required to complete a task. Well written procedures very clearly lay out how you can go about completing a task with each step itemized. Within each step, there will often be rich detail to guide the employee and make sure no mistakes are made. This emphasis on detail is an important part of understanding what constitutes a procedure. We can see this philosophy in standard operating procedure documentation; there should be an easily understood overview with a detailed breakdown of its constituent parts. Below is a template of ours within the Process Street platform which shows you how you could draft your standard operating procedures using the software. This template is geared to adhere to the ISO 9001: 2015 specifications for the QMS Mini-Manual. Procedures like the ones you might include in the template above have some subtle differences from the concept of a process. Procedures are necessarily processes, but processes are not necessarily procedures. So what makes procedures distinct? It’s probably best to consider the use cases for procedures to understand why they are the way they are as a subclass of processes. Procedures, and their detail, are very important in highly regulated industries or highly systemized businesses reliant on low skill labor. If you’re dealing with industry regulations on food hygiene then you’re likely following a strict set of instructions in order to meet those specific regulations. The process isn’t so much a series of guides, but a set of rules. 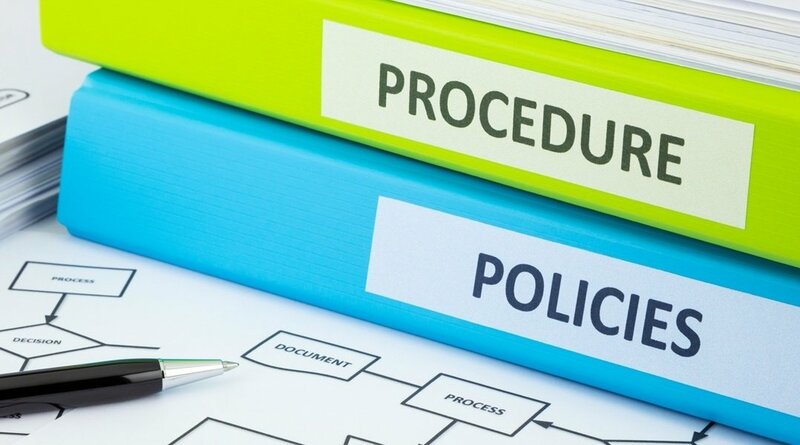 Procedures act, both practically and organizationally, in ways very similar to rules or laws. These are prescribed steps to be followed without question. They contain a hierarchical element to them in that they are generally imposed on employees from above. For the employee who follows these steps, they are procedures. However, when the manager who writes this set of procedures wishes to review it, they’re likely thinking about the procedures in much the same way as they would about any other set of processes. Ultimately, it’s all kind of semantics. But it is useful to be aware of the distinctions and to be able to factor them in accordingly. If you read a report discussing the most effective way to write and implement procedures, then that report will be very useful to you if you want to implement procedures. But if you’re thinking of all your business processes as procedures then you may end up aggressively micro-managing certain staff or teams who would be held back by that kind of procedural thinking. Teams of high skill or creatively nuanced employees might benefit greatly from the kinds of freedoms procedures often leave very little space for. At Process Street, we employ many of the normal policies you would expect from any other similar company. The standard policies mentioned previously in the article are best practice for businesses. However, as your business grows you find the need to create new policies specific to your needs. We operate as a distributed remote team. This means we don’t have shared offices and often don’t have shared time zones. One of the challenges this presents which we need to overcome is effective communication. We’ve tackled this by having almost all of our communication routed through Slack – excluding our video conferences, processes, and task management, which all constitute communication in a broader sense. The potential of team communication software like Slack is vast and it can work really well within a business if employed correctly. To maintain these high levels of communication we need to put certain policies in place. One general policy we have is that all communication must be undertaken in public channels. This way, everyone on that particular team who is included in that channel is able to see the activity and communications of the other team members. It results in better knowledge sharing and more effective problem-solving. By adopting this approach there is also the added benefit of increased employee accountability in the workplace. We provide two key moments where this policy is impressed onto new hires. The policy is then reinforced by the detail of the policy which encourages team members to keep each other in line. As an example, in our Virtual Assistant employee onboarding checklist, which the VA goes through themselves, the rules for them as an employee are laid out clearly and they have to check the task off to confirm that they have read and understood these policies. In the parallel process – the VA employee onboarding checklist carried out by the manager – there is a task which specifies that the VA must be told the rules again. This opportunity to stress the importance of the policies in place helps reinforce the message and improve adherence. Further, the manager is instructed to explain a situation whereby another employee messages the VA privately. The protocol for this is to ask the person to repost the question in a public channel, or to copy and paste it into a public channel as a quote which you then give your reply to. This policy tackles problems discovered in the past, improves team communications, and can be effectively applied. We also add some little details like how all communication should be conducted in English so that everyone can understand. Little additions like this are simple and small, but it is useful to make sure they’re documented. 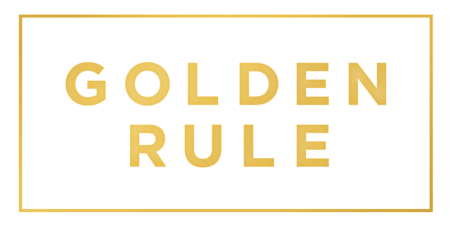 Another policy we operate with at Process Street is our golden rule: Make a process for every task you do more than twice. This policy is how we encourage our overall philosophy to spread amongst the team. It makes sure we effectively document our processes and can work to optimize them. This kind of approach to work means that knowledge sharing is incredibly easy. Instead of having to ping everyone on Slack, or negotiate time zone differences, to ask if someone knows how to do x, we can look through our Process Street organization for the process someone else built last time they undertook that particular task. Simply typing what you need into the search bar in Process Street is significantly easier than having to reach out to people whenever you’re approaching something new. It seems like a small thing, but that little policy is one of the key ways we’re able to grow and scale so easily as a team. As you’ve probably guessed by now, we’re pretty invested in our processes. What we’ll do is show you two different processes which we use across our teams and explain how we’ve made them actionable. The first process we’ll look at is the process I’ll be using when this article is fully written: our Blog Prepublish template. This process is run every time a member of our content creation team wants to prepare a written piece of work for publication. It takes us through the different important checks we need to make to finish the article off. Check it out here below, and if you want to use it or any other template just click “I want this for my business” and it will add the template to your Process Street account. As you’ll see, this process covers most of the important steps required for publishing an article. However, as part of our internal optimization quest, the process I’ll use is slightly different to this one. I’ll provide you with three examples. Within our blog, we’ve added a tool called YoRocket which assesses the suitability of your title and description in accordance with vast A/B testing data. In task 7 of the template above, we’ve included the added step of recording the YoRocket scores for each of the 5 alternative headlines, plus a further step to check your description in YoRocket. As our written content has developed over the years, we have sought to create large databases of all the work we’ve done with detail of how it is tagged and targeted. In this database, we also monitor social sharing performance and other key metrics. As a result, we’ve included a step at the end of the process to enter the post information into our Airtable database so that we can record and track our work. In that same theme, our emphasis on effective SEO strategies means that the internal process we’re now using has a further subsection which covers steps to optimize a post for SEO. This includes performing keyword research, adding the appropriate tags, and making sure the keyword is used sufficiently in the right areas of the article. This process embedded above has adapted and grown in relation to the work we have done and the new things we have learned about our own needs. Through optimization, we know have a prepublish process which works for us and we’re still looking to make it even better! Optimizing a process isn’t just about learning new things to add or identifying unnecessary elements to remove. One way in which you can optimize a process is adding automation to reduce steps and transfer data. Our sales process is integrated with Close.io and serves to take the data entered into Process Street by the sales representative as they work through the process and transfers that data to where it can be most efficiently stored and acted upon in future. The process guides the sales operations and Zapier takes the information and puts it into Close.io for future use. According to Harvard Business Review, the average marketing executive could be saving 10-15% of their time by automating simple tasks. That’s why we have looked to employ processes with automations whenever possible. This morning for our little team meeting we had a meeting checklist automatically run which we updated with information as we went through. When the meeting finished, we hit complete on the checklist and it automatically took the content of the checklist and published it as a report in our Slack channel to update everyone else with the topics covered. These little automations save time – and money as a result! If you want to know more about how we automated the sales template above, check out this video to see how it all works. Make sure you have the right processes, policies and procedures for your business. Whether you use all three of processes, policies and procedures depends on the needs of your business. A solopreneur will likely benefit from documenting and automating processes, but have little need for company-wide policies or strict procedural documents. Whereas a large business operating across different locations may employ all three. You can consider which will work best for your specific use case and implement them as you see fit. What we can be sure of is that your organization will benefit from the structure and clear vision which these solutions provide. How do you employ these tactics in your business? Let us know in the comments below how it works in your business and we may contact you to find out more! This is an excellent article which really helps gel together all the other great postings and videos about Process Street. So far I only saw a small mention of policies (in one of your workflow videos). Many organisations will have fairly formal frameworks with a policy, process and procedure hierarchy and its great to learn more about how Process Street addresses this. We are only just starting off on the job of building Standard Operating Procedures for our Managed IT Services business and I’ve been looking for an application that will shape how we go about it. Process Street certainly seems to be a rare contender in directly solving this need, simply and effectively. Perhaps you could give us more on how to create a template that brings these 3 things together so that procedures are linked up to policies. I would love this too! It would be nice to see a completed operations manual. ( doesn’t need to be everything) But one where it shows how each processes and procedures and checklist allcone together. How each department is organized on paper…so to speak. I’ll chat with the team about your proposal of seeing a completed manual and see whether we could begin preparing something like that for a future post. It sounds like something people would find useful! Thanks for the positive feedback. I’m glad to hear you found a lot to take away from the article! In a reply to Samantha below, I put in a link to an article of mine from a few weeks back on writing standard operating procedures. Maybe there can be something in here which could inspire what you’re looking for? What exactly do you feel are the current difficulties you’re finding in creating a system which brings all these elements together effectively? It would be great to see what problems you’re facing, as I’m sure you’re not the only one! It would give us a chance to look at the issue and see if we could work out the best way Process Street could be applied to it. You’re completely right! You can systemize your business all you like, but if no one follows it then it just gets wasted. My colleague Ben actually published a post on Wednesday about this exact problem. This is one of the most in-depth articles explaining the core concepts of systematization of business activities I’ve seen to date. The blog articles that you guys are putting out are excellent, and the value given is priceless. Thank you for this insightful blog post. Keep up this excellent blog! Amen! I totally agree! Keep it coming @process.st! Love anything to do with organizing my business processes and marketing plans! Thank you! That’s great to hear, Martin! Really glad to see you’re enjoying it. Thanks! I just signed up for a paid plan and have been reading quite a few of the entries in the blog over the past week (very well done!). I’m surprised this one didn’t have more comments as it seems to really get at the crux of things. I believe I understand well the distinction between Policy/Process/Procedure, but I got a bit confused by the ISO-9000 Structure Template. It seems like this document is set up to be an entire process manual, with each process defined within the sub tasks? It seems to me this would become a massive single document. My impression of the app is that ideally you would create a new Process template for each unique process. For example a separate process for each: Reship customer order, Wrong item(s) shipped to customer, Handle outstanding invoices, Handle incoming shipment, etc. Is this more granular than it should be for it’s own process document? Regarding policies, in terms of actual storage and reference, where do you normally keep them? For example, we could keep them within Process St, or in Evernote, or in a Wiki, etc. I’m curious how you’re doing it now? How do you reference these policies? Do you require new-hires to read over all policies, or reference them in each process, or something else? It seems to me that keeping policies in PS makes the most sense so that everything is in a central location that can be searched, but I’m not sure if the format makes sense. I realize some of this is subjective, but I’m curious how you guys are handling it. I’m glad you’ve been enjoying the posts and I hope Process Street continues working out for your business! – Carrying on that theme, most people find Process Street to perform best when working with the granular approach you describe. In house, we make use of the folders and sub-folders to categorize our individual processes. Each process then has a specific scope which pertains to that task and that task alone. However, it is possible to link those together or build a process with greater length. We like to keep the use case for each process clear so that it most effectively works as a process: start on task 1 and work through until completion; rather than opening a huge process and having to find a starting point within the process which suits your needs.